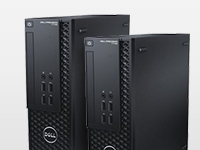 Trust Zones to deliver Dell desktops and workstations custom-configured and ready to work for you. 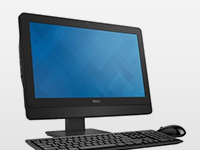 Dell offers a broad range of computers from systems exclusively designed for small businesses to fully certified mobile workstations to fit industry-specific workloads and budgets. 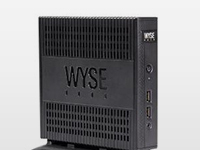 Regardless of your requirements, you can rest assured that your Dell systems use the highest quality components for reliable performance. Whether yours is a growing business or a large-scale global enterprise, there's a Dell OptiPlex desktop ideal for your organization. With a wide range of form factors and performance options, OptiPlex offers easy management and security features for business-class control in networked environments. If you're running a compute-intensive application – with graphics, video, simulations, and/or scientific calculations – on a desktop computer, you may not realize how much performance you're missing. Don't settle for good enough. 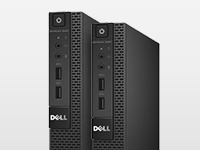 Get the power and speed you need with certified Dell Precision workstations. Conserving desk space is just one of many reasons to consider Dell OptiPlex all-in-one desktops. With the combination of appearance and performance, all-in-one desktops are the perfect solution for reception areas, self-service check-in, conference rooms, kiosks, and even graphic-rich medical tasks. 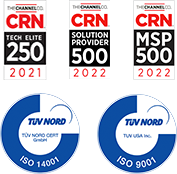 No matter what stage of desktop virtualization you're in or what platform you prefer, Dell's fully customizable, end-to-end cloud client-computing solutions can help you realize a heightened level of security, speed, and management across Citrix, Microsoft, VMware, or Dell-based platforms.